It takes just a handful of ingredients from the kitchen to make perfect BBQ sauce quickly in a short time. If you are too busy to make the sauce, you can make plenty of ketchup on weekends or during holidays and store it in a container. Later, you can mix the salsa with other essential ingredients to make fresh, healthy homemade easy barbecue sauce. Depending on your taste and preferences, you can make both spicy and sweet flavored sauce. If you ask me how to make BBQ sauce at home, I would say, it all begins with ketchup. To make homemade sauce, I always start with ketchup. You can use your favorite ketchup as the base, but you can also make the ketchup on your own. I generally use homemade ketchup to make BBQ sauce because it doesn’t include high-fructose corn syrup. In my sauce, I use the ingredients that are easily accessible and found in the kitchen. As basic ingredients, I prefer using vinegar, brown sugar, and homemade ketchup. You can also add lemon juice, various seasonings, garlic cloves, and onions. You will have to mix the ingredients in a bowl and whisk them properly. I prefer my BBQ sauce to be mildly flavored; therefore, I don’t add any extra heat. If you like spicy food or the taste of spice in the sauce, then this easy homemade spicy BBQ sauce recipe is for you. Spicy Sauce is one of those recipes, which is sweet, and tangy with a little spice. You can use it for multi-purposes such as for grilling, marinating, and dipping. Now that you know what ingredients you will need to make this spicy BBQ sauce. First, you have to put the ingredients in a large skillet, and then whisk them. Now bring the sauce to a boil over medium heat for 15 minutes or until the sauce slightly thickens. You can add some water if needed. You can store this sauce in the refrigerator for up to 2 weeks. Caramelized tomatoes are one of the specialties of BBQ sauce. If you have a sweet tooth, and like the sweet and sour taste of BBQ sauce, then you will adore this recipe. Get a medium-size saucepan on the burner, add the ingredients in it and whisk them together. Stir slowly in medium heat. Reduce the heat to low, when the sauce starts to bubble. Now, wait for about 10 to 15 minutes until the sauce is thickened. Store in an airtight container in the refrigerator for up to 3 three weeks. If anybody ever asks me which sauce you prefer? Did store buy sauce or homemade sauce? My answer undoubtedly would be the homemade sauce. Homemade sauce is healthier compared to bottled sauces. The organic sauce saves time and money as well. If you have ketchup and other common ingredients at home, you can make BBQ sauce yourself. Once you like the taste of it, you will start avoiding grocery stores to purchase bottled sauces. The homemade sauce doesn’t contain any preservatives, artificial color, and high fructose corn syrup. Thus, you will be able to stop consuming such harmful elements for your body if you use a homemade sauce. 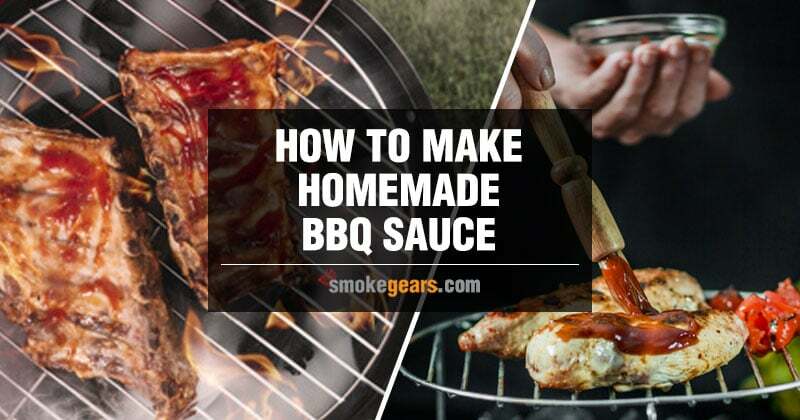 Using homemade BBQ sauce will bring organic feel in your grilled meat at any BBQ party, while you enjoy the company of your loved ones with good foods during summer.